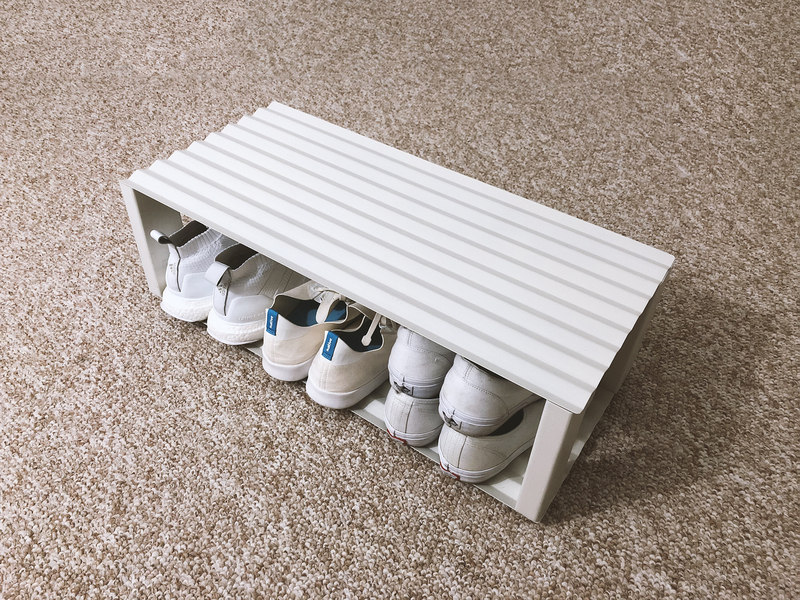 Overview: This is a review of the Corrugate Shoe Tray, designed by Yenwen Tseng for NakNak. It was purchased in 2016 for $240 from FinnishDesignShop.com. 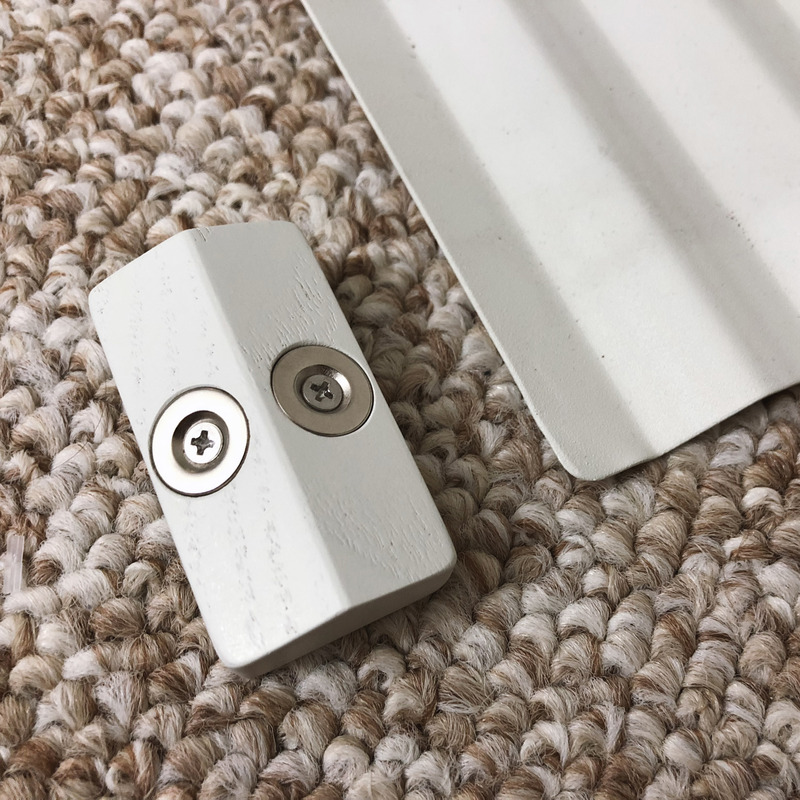 Pros: Simple assembly, easy to clean, extremely durable, superior finish. Overall, an excellent design with quality execution. 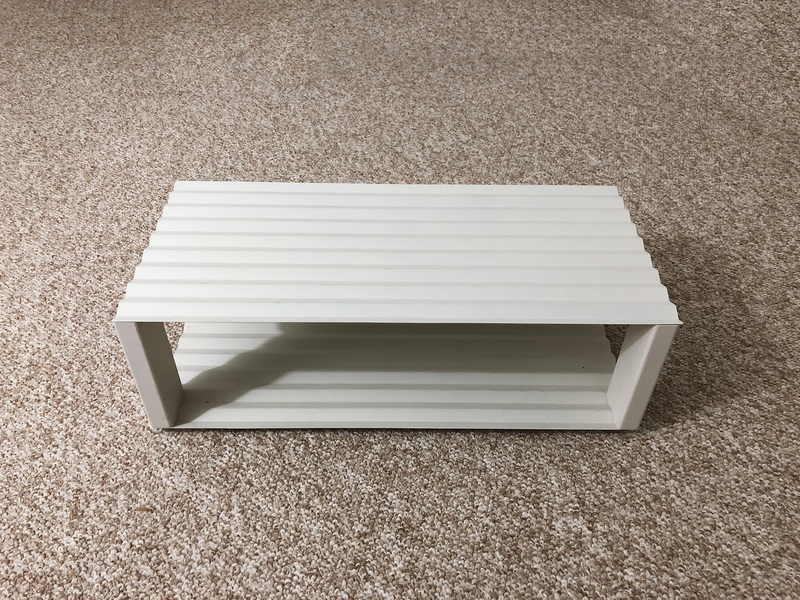 The tray is 10 pieces, 2 pieces of corrugated metal (sheet steel), 4 magnetic legs (wood), and 4 magnetic feet (wood, not shown). 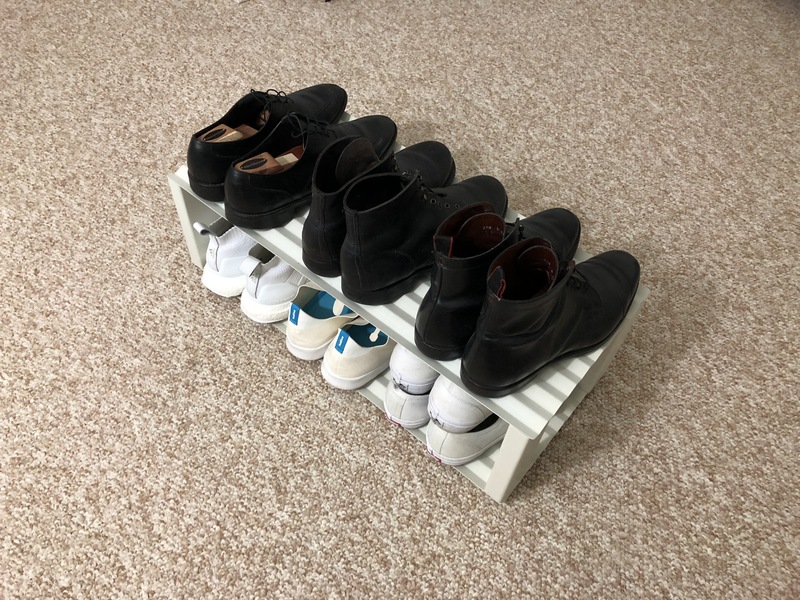 The tray hold six shoes comfortably. Small does can be stacked two deep on the bottom row. 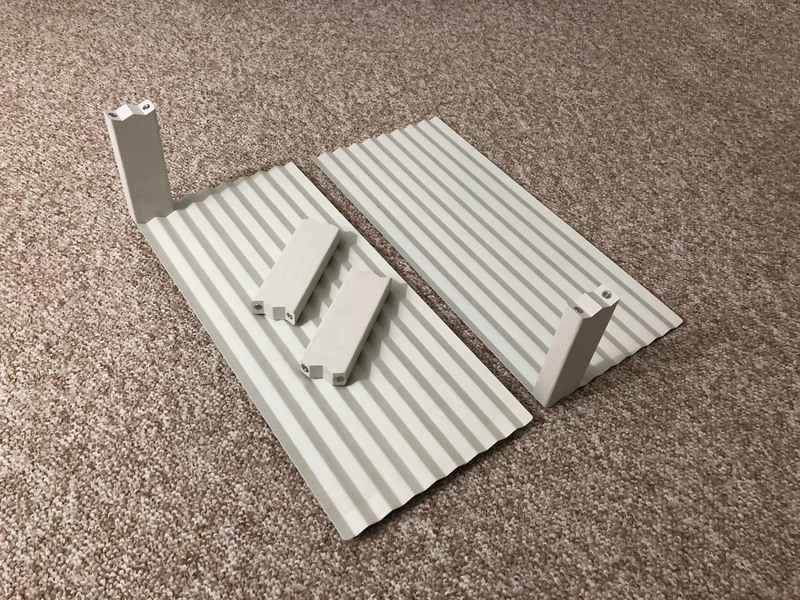 The legs and feet attach magnetically to the tray, which makes it very easy to reassemble. 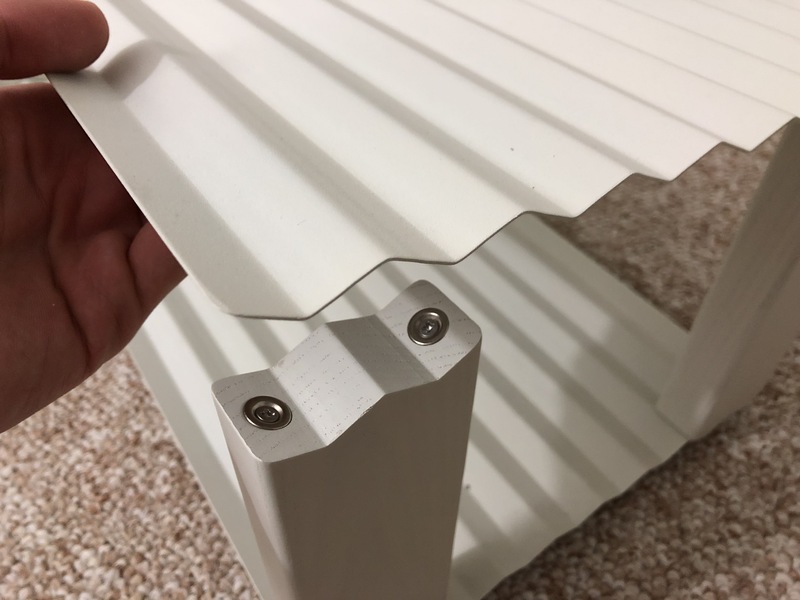 The ends are keyed to fit into the corrugation pattern. The magnetic construction makes the tray very resistant to any damage. If the tray is pushed over, it can be easily reassembled with no sustained damage. In addition, this magnetic construction comes in handy when relocating (the tray packs flat). The bottom of the tray has four magnetic feet that can be adjusted side to side. The magnets are quite strong and are screwed in, not glued. True to its name, the top is corrugated metal, which in addition to being very strong, is quite practical. The water and dirt from the shoes collects in the troughs and can be easily swept away. The corrugation is visually pleasing as well.